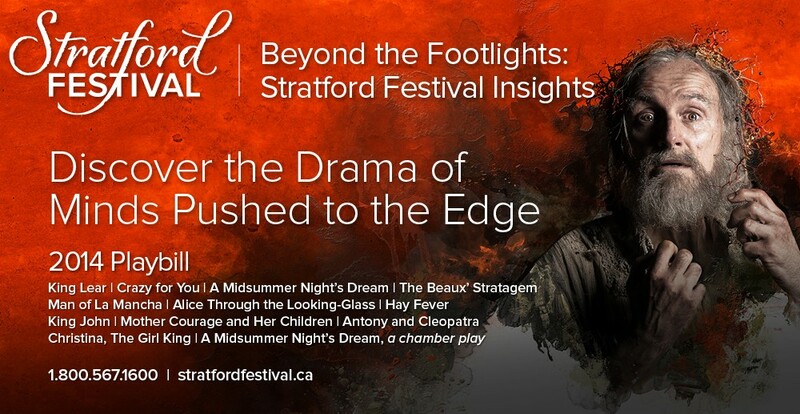 The successful candidates will welcome patrons to the exhibit, sell tickets and merchandise while sharing knowledge regarding the exhibit displays and other activities related to the Exhibition and the Stratford Shakespeare Festival. As the ideal candidate you will have some experience in customer service, dealing with cash and a POS system and the ability to work both independently and in a positive team environment. Strong communication, interpersonal and problem solving skills along with an enthusiasm for the Stratford Shakespeare Festival is expected. Preference will be given to candidates that can complete the full contract period from April 23 to November 9th. You are expected to have the ability to work flexible hours including day, evening, holidays and weekend shifts. Student Gardeners will work under the direction Head Gardener. You will share in the responsibilities of maintaining the Festival gardens, grounds and properties. The grounds consist of extensive perennial beds, annuals, rose and carpet beds and the lawns that surround all the Festival Theatre buildings. This position is suitable for a student either currently attending school or registered to attend in the Fall of 2012. You must be able to work flexible hours including days, weekends and holidays. Past experience operating powered equipment such as leaf blowers, grass trimmers and lawn mowers with an interest in gardening and ground care are preferred. Excellent verbal communication skills are expected as interaction with the public is required. You will be expected to begin in the Spring and conclude August 30th with the possibility of an extension into the Fall on weekends. The successful candidate will act as the House Manager at the Studio Theatre and the Studio Theatre Annex and be available to cover when necessary as the House Manager at the Avon Theatre. This position is responsible for ensuring the delivery of exceptional customer service by all front line staff and the well being of our patrons. A clear knowledge of all Health and Safety practices at either theatre spaces is expected. You will interface extensively with patrons and other Front of House staff and liaise with facilities, production and artistic personnel. Candidates are expected to possess excellent communication, interpersonal and problem-solving skills along with an enthusiasm for handling patron needs and concerns. Exceptional customer service skills are expected. Standard First Aid and CPR certification are requested. Applicants should have a strong desire to work with patrons, and possess a good knowledge of the City of Stratford and area. Working knowledge in Excel and Word software packages is important and current working knowledge in Tessitura is preferred but not expected. Evening, weekend and holiday work is required. As an apprentice, you will work with some of this industry’s top craftspeople and artisans, learning the techniques and skills required to work in a large-scale repertory theatre. The apprentice position will consist of a 20-week contract over the winter/spring 2012, and will combine a period of training with work on the 2012 season productions. There is an option for a second year of training starting February 2013. Applicants should have post-secondary education in Fine Arts, Theatre Arts, or a related field, and have some theatre production experience. Apprentices will be required to interact with other production staff, designers, and craftspeople, therefore good interpersonal skills and the ability to work in a team environment are essential. This position can be physically strenuous and require some heavy lifting. This position will begin early February 2012. The successful candidate will be a seasoned artistic administrator with a background in contract and collective agreement negotiation. Experience in a repertory theatre is considered a strong asset. You must have a demonstrated commitment to excellence, be detail-oriented, and able to multi-task. Strong negotiation skills are essential. This is a full time position and is located in Stratford, ON. You will be responsible for soliciting donations (membership, special appeals) for the Stratford Shakespeare Festival through fundraising campaigns in person at the Festival and Avon theatres while providing efficient, consistent, enthusiastic and exceptional customer service. This is 4 month part time contract position which will begin July 4, 2011 and requires frequent evening and weekend work. This one year maternity contract position is responsible for managing the Stratford Shakespeare Festival’s four million dollar advertising budget through various promotional strategies while acting as the Festival’s main contact for outside advertising and creative agencies. You will also oversee Google Adword, our annual House and Souvenir book publications, in-house and local advertising projects and the Festival’s revenue generating programs including Family Experience, youth-oriented Play On, and TiXX programs. The expectation will be to build new audiences and reach demographic revenue targets for each segment. You must have a minimum of three years’ experience in advertising at a management level, either on the client or agency side, strong outside sales skills, ability to manage multiple projects at one time, proven success at developing relationships with advertisers, highly organized with an eye for detail, ability to manage expense budgets, strong negotiation skills, knowledge of brand strategies and overall marketing objectives, effective communication skills with the ability to adapt to new situations and think creatively as a leader. Comfortable with a quick-paced environment and solid knowledge of local landscape and key players is essential. This position is expected to begin July 6th, 2011. Reporting to the Director of Education, you will be responsible for organizing, coordinating and executing education and enrichment programs. You will organize &/or conduct workshops, courses, presentations, conferences and ancillary events relating to the Festival playbill with particular attention to the works of William Shakespeare and arts education in general. In addition, the Coordinator assists in the researching and writing of copy for Stratford Festival publications and web content including study guides and teacher resource materials. Applicants must possess an undergraduate degree in English, Drama or Fine Arts or have equivalent training &/or experience. Formal teacher training is preferred. You have excellent written, organizational and problem solving skills. Experience in public speaking, the ability to communicate effectively – both verbally and in writing – are essential. Proficiency in the Microsoft office environment is required. Preference will be given to candidates with experience working with or teaching students (both adults and children) in an educational &/or recreational setting. Some travel, evening and weekend work is required. This full time position will not commence until August 22, 2011 allowing the Education department to complete their summer programming.